EDITOR: This excerpt details the history of the Bush family and how they rose to prominence within the American upper class during World War I and World War II. Senator Prescott Bush, a notorious anti-Roosevelt Republican and convicted traitor in World War II, would set the stage for his son, George HW Bush to one day emerge as leader of the Consortium and President of the United States. Prescott Bush entered Yale University in 1913. A native of Columbus, Ohio, Prescott had spent the last five years before college in St. George’s Episcopal preparatory school in Newport, Rhode Island.Prescott Bush’s first college year, 1913, was also the freshman year at Yale for E. Roland ( “Bunny” ) Harriman, whose older brother (Wm.) Averell Harriman had just graduated from Yale. 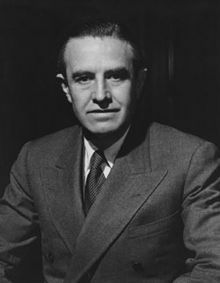 This is the Averell Harriman who went on to fame as the U.S. ambassador to the Soviet Union during World War II, as a governor of New York State, and as a presidential advisor who was greatly responsible for starting the Vietnam War. The Harrimans would become the sponsors of the Bushes, to lift them onto the stage of world history. In the spring of 1916, Prescott Bush and “Bunny” Harriman were chosen for membership in an elite Yale senior-year secret society known as Skull and Bones. This unusually morbid, death-celebrating group helped Wall Street financiers find active young men of “good birth” to form a kind of imitation British aristocracy in America. World War I was then raging in Europe. With the prospect that the U.S.A. would soon join the war, two Skull and Bones “Patriarchs” , Averell Harriman (class of 1913) and Percy A. Rockefeller (class of 1900), paid special attention to Prescott’s class of 1917. They wanted reliable cadres to help them play the Great Game, in the lucrative new imperial era that the war was opening up for London and New York moneycrats. Prescott Bush, by then a close friend of “Bunny” Harriman, and several other Bonesmen from their class of 1917 would later comprise the core partners in Brown Brothers Harriman, the world’s largest private investment bank. World War I did make an immense amount of money for the clan of stock speculators and British bankers who had just taken over U.S. industry. The Harrimans were stars of this new Anglo-American elite. Averell’s father, stock broker E.H. Harriman, had gained control of the Union Pacific Railroad in 1898 with credit arranged by William Rockefeller, Percy’s father, and by Kuhn Loeb & Co.’s British-affiliated private bankers, Otto Kahn, Jacob Schiff and Felix Warburg. William Rockefeller, treasurer of Standard Oil and brother of Standard founder John D. Rockefeller, owned National City Bank (later “Citibank” ) together with Texas-based James Stillman. In return for their backing, E.H. Harriman deposited in City Bank the vast receipts from his railroad lines. When he issued tens of millions of dollars of “watered” (fraudulent) railroad stock, Harriman sold most of the shares through the Kuhn Loeb company. The First World War elevated Prescott Bush and his father, Samuel P. Bush, into the lower ranks of the Eastern Establishment. As war loomed in 1914, National City Bank began reorganizing the U.S. arms industry. 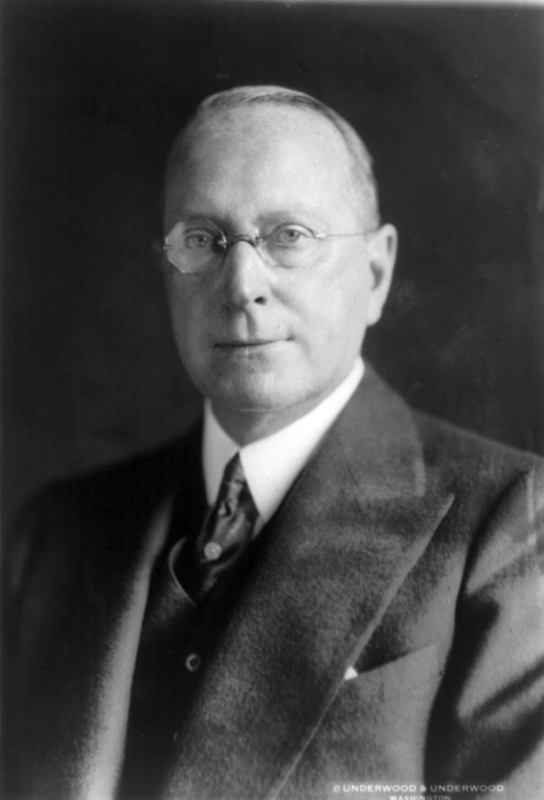 Percy A. Rockefeller took direct control of the Remington Arms company, appointing his own man, Samuel F. Pryor, as the new chief executive of Remington. The U.S entered World War I in 1917. In the spring of 1918, Prescott’s father, Samuel P. Bush, became chief of the Ordnance, Small Arms and Ammunition Section of the War Industries Board. The senior Bush took national responsibility for government assistance to and relations with Remington and other weapons companies. This was an unusual appointment, as Prescott’s father seemed to have no background in munitions. Samuel Bush had been president of the Buckeye Steel Castings Co. in Columbus, Ohio, makers of railcar parts. His entire career had been in the railroad business– supplying equipment to the Wall Street-owned railroad systems. 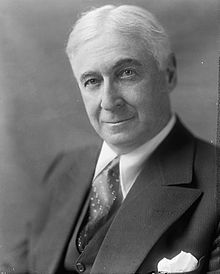 The War Industries Board was run by Bernard Baruch, a Wall Street speculator with close personal and business ties to old E.H. Harriman. Baruch’s brokerage firm had handled Harriman speculations of all kinds. In 1918, Samuel Bush became director of the Facilities Division of the War Industries Board. Prescott’s father reported to the Board’s Chairman, Bernard Baruch, and to Baruch’s assistant, Wall Street private banker Clarence Dillon. 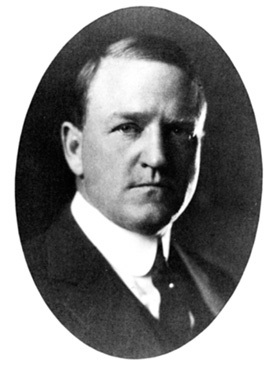 Robert S. Lovett, President of Union Pacific Railroad, chief counsel to E.H. Harriman and executor of his will, was in charge of national production and purchase “priorities” for Baruch’s board. With the war mobilization conducted under the supervision of the War Industries Board, U.S. consumers and taxpayers showered unprecedented fortunes on war producers and certain holders of raw materials and patents. Hearings in 1934 by the committee of U.S. 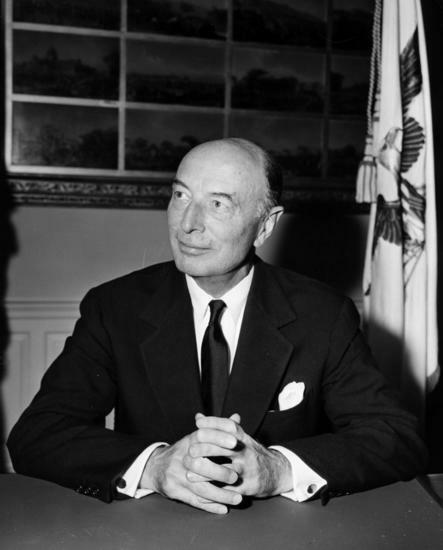 Senator Gerald Nye attacked the “Merchants of Death” — war profiteers such as Remington Arms and the British Vickers company –whose salesmen had manipulated many nations into wars, and then supplied all sides with the weapons to fight them. Percy Rockefeller and Samuel Pryor’s Remington Arms supplied machine guns and Colt automatic pistols; millions of rifles to Czarist Russia; over half of the small-arms ammunition used by the Anglo-American allies in World War I; and 69 percent of the rifles used by the United States in that conflict. Samuel Bush’s wartime relationship to these businessmen would continue after the war, and would especially aid his son Prescott’s career of service to the Harrimans. Now, arms production in wartime is by necessity carried on with great security precautions. The public need not know details of the private lives of the government or industry executives involved, and a broad interrelationship between government and private-sector personnel is normal and useful. But during the period preceding World War I, and in the war years 1914-1917 when the U.S. was still neutral, interlocking Wall Street financiers subservient to British strategy lobbied heavily, and twisted U.S. government and domestic police functions. Led by the J.P. Morgan concern, Britain’s overall purchasing agent in America, these financiers wanted a world war and they wanted the United States in it as Britain’s ally. The U.S. and British arms companies, owned by these international financiers, poured out weapons abroad in deals not subject to the scrutiny of any electorate back home. The same gentlemen, as we shall see, later supplied weapons and money to Hitler’s Nazis. On May 1, 1926, Prescott Bush joined W.A. Harriman & Co. as its vice president, under the bank’s president, Bert Walker, his father-in-law and George’s maternal grandfather–the head of the family. Bush would demonstrate strong loyalty to the firm he joined in 1926. And the bank, with the scope and power of many ordinary nations, could amply reward its agents. George Bush’s Grandfather Walker had put the enterprise together, quietly, secretly, using all the international connections at his disposal. Let us briefly look back at the beginning of the Harriman firm–the Bush family enterprise–and follow its course into one of history’s darkest projects. The firm’s first global lever was its successful arrangement to get into Germany by dominating that country’s shipping. 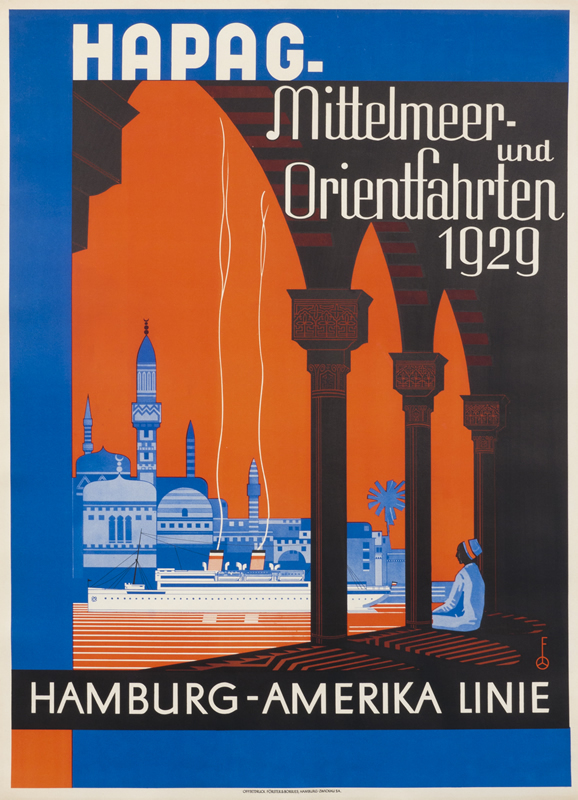 Averell Harriman announced in 1920 that he would re-start Germany’s Hamburg- Amerika Line, after many months of scheming and arm-twisting. Hamburg-Amerika’s commercial steamships had been confiscated by the United States at the end of the First World War. These ships had then become the property of the Harriman enterprise, by some arrangements with the U.S. authorities that were never made public. 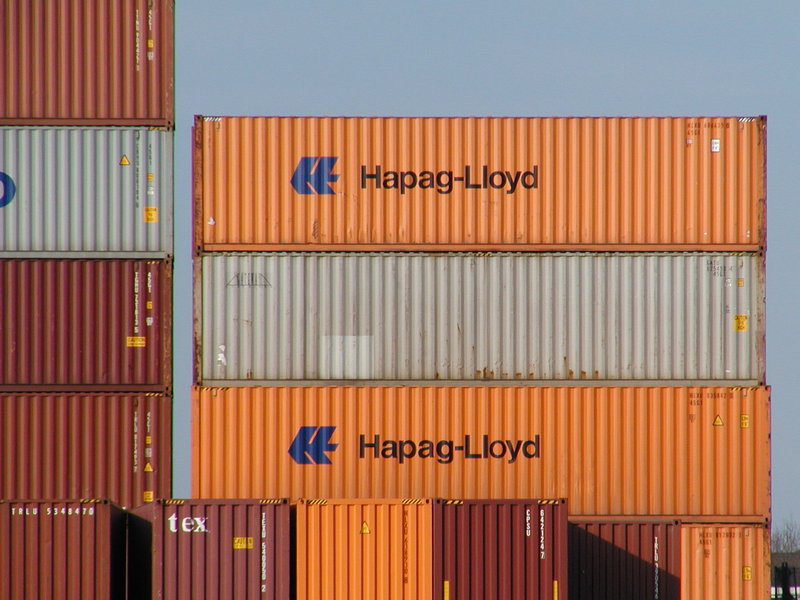 The deal was breathtaking; it would create the world’s largest private shipping line. Hamburg-Amerika Line regained its confiscated vessels, for a heavy price. The Harriman enterprise took “the right to participate in 50 percent of all business originated in Hamburg” ; and for the next twenty years (1920-1940), the Harriman enterprise had “complete control of all activities of the Hamburg line in the United States.” Harriman became co-owner of Hamburg-Amerika. The Harriman-Walker firm gained a tight hold on its management, with the not-so-subtle backing of the post-World War I occupation of Germany by the armies of England and America. The story celebrated a “merger of two big financial houses in New York, which will place practically unlimited capital at the disposal of the new American-German shipping combine….” Bert Walker had arranged a “marriage” of J.P. Morgan credit and Harriman family inherited wealth. W.A. Harriman & Co., of which Walker was president and founder, was merging with the Morton & Co. private bank–and Walker was “[p]rominent in the affairs of Morton & Co.,” which was interlocked with the Morgan-controlled Guaranty Trust Co. The Hamburg-Amerika takeover created an effective instrument for the manipulation and fatal subversion of Germany. One of the great “merchants of death,” Samuel Pryor, was in it from the beginning. Pryor, then chairman of the executive committee of Remington Arms, helped arrange the deal and served with Walker on the board of Harriman’s shipping front organization, the American Ship and Commerce Co.
Walker and Harriman took the next giant step in 1922, setting up their European headquarters office in Berlin. With the aid of the Hamburg-based Warburg bank, W.A. Harriman & Co. began spreading an investment net over German industry and raw materials. From the Berlin base, Walker and Harriman then plunged into deals with the new dictatorship of the Soviet Union. They led a select group of Wall Street and British Empire speculators who re-started the Russian oil industry, which had been devastated by the Bolshevik Revolution. They contracted to mine Soviet manganese, an element essential to modern steelmaking. These concessions were arranged directly with Leon Trotsky, then with Felix Dzerzhinsky, founder of the Soviet dictatorship’s secret intelligence service (K.G.B), whose huge statue was finally pulled down by pro-democracy demonstrators in 1991. With the bank launched, Bert Walker found New York the ideal place to satisfy his passion for sports, games and gambling. Walker was elected president of the U.S. Golf Association in 1920. He negotiated new international rules for the game with the Royal and Ancient Golf Club of St. Andrews, Scotland. 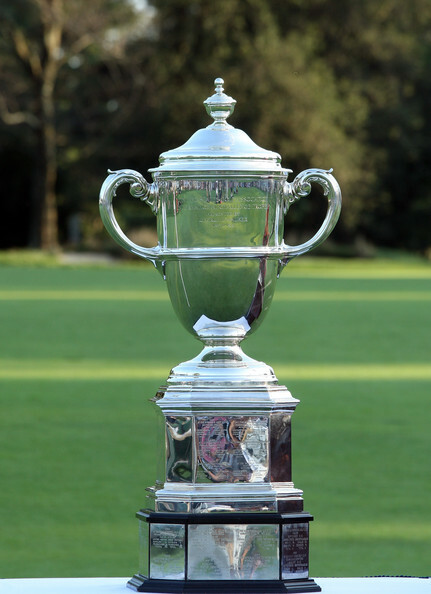 After these talks he contributed the three-foot-high silver Walker Cup, for which British and American teams have since competed every two years. 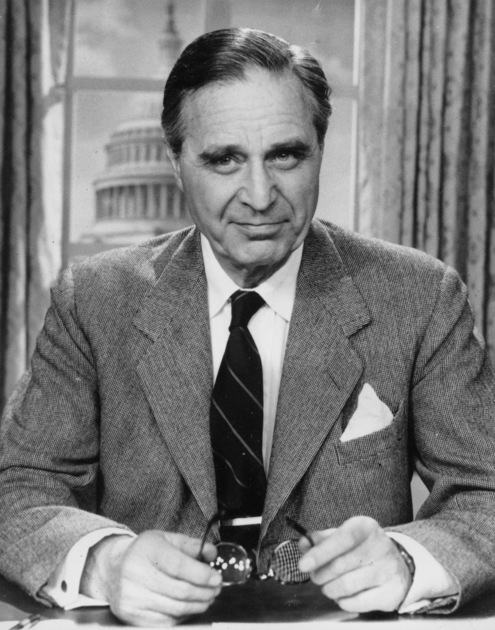 Bert’s son-in-law Prescott Bush was later secretary of the U.S. Golf Association, during the grave political and economic crises of the early 1930s. Prescott became USGA President in 1935, while he was otherwise embroiled in the family firm’s work with Nazi Germany. In 1925, Bert Walker and Averell Harriman headed a syndicate which rebuilt Madison Square Garden as the modern Palace of Sport. Walker was at the center of New York’s gambling scene in its heyday, in that Prohibition era of colorful and bloody gangsters. The Garden bloomed with million-dollar prize fights; bookies and their clients pooled more millions, trying to match the pace of the speculation-crazed stock and bond men. This was the era of “organized” crime–the national gambling and bootleg syndicate structured on the New York corporate model. By 1930 Walker was New York State Racing Commissioner. The vivid colors and sounds of the racing scene must have impressed little George as much as his grandfather. Bert Walker bred race horses at his own stable, the Log Cabin Stud. He was president of the Belmont Park race track. Bert also personally managed most aspects of Harriman’s racing interests. 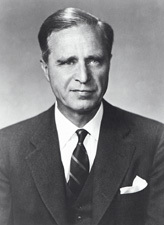 After the firm’s 1931 merger with the British-American banking house Brown Brothers, Prescott Bush became managing partner of the resulting company: Brown Brothers Harriman. This was ultimately the largest and politically the most important private banking house in America. Financial collapse, world depression and social upheaval followed the fevered speculation of the 1920s. The 1929-31 crash of securities values wiped out the small fortune Prescott Bush had gained since 1926. But because of his devotion to the Harrimans, they “did a very generous thing,” as Bush later put it. They staked him to what he had lost and put him back on his feet. But of the “three or four” partners in charge, Bush was effectively at the head of the firm, because he had taken over management of the gigantic personal investment funds of Averell and E. Roland “Bunny” Harriman. In those interwar years, Prescott Bush made the family fortune which George Bush inherited. He piled up the money from an international project which continued until a new world war, and the action of the U.S. government, intervened to stop him. Bert Walker had arranged the credits Harriman needed to take control of the Hamburg-Amerika Line back in 1920. Walker had organized the American Ship and Commerce Corp. as a unit of the W.A. Harriman & Co., with contractual power over Hamburg-Amerika’s affairs. As the Nazi project went into high gear, Harriman-Bush shares in American Ship and Commerce Corp. were held by the Harriman Fifteen Corp., ran by Prescott Bush and Bert Walker. 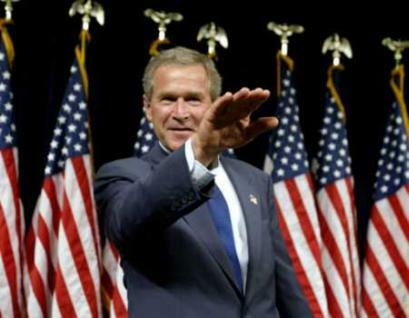 In many ways, Bush’s Hamburg-Amerika Line was the pivot for the entire Nazi project. Averell Harriman and Bert Walker had gained control over the steamship company in 1920 in negotiations with its post-World War I chief executive, Wilhelm Cuno, and with the line’s bankers, M.M. Warburg. Cuno was thereafter completely dependent on the Anglo-Americans, and became a member of the Anglo-German Friendship Society. In the 1930-32 drive for a Hitler dictatorship, Wilhelm Cuno contributed important sums to the Nazi Party. Albert Voegler was chief executive of the Thyssen-Flick German Steel Trust for which Bush’s Union Banking Corp. was the New York office. He was a director of the Bush-affiliate BHS Bank in Rotterdam, and a director of the Harriman-Bush Hamburg-Amerika Line. Voegler joined Thyssen and Flick in their heavy 1930-33 Nazi contributions, and helped organize the final Nazi leap into national power. The Schroeder family of bankers was a linchpin for the Nazi activities of Harriman and Prescott Bush, closely tied to their lawyers Allen and John Foster Dulles. Baron Kurt von Schroeder was co-director of the massive Thyssen-Huautte foundry along with Johann Groeninger, Prescott Bush’s New York bank partner. Kurt von Schroeder was treasurer of the support organization for the Nazi Party’s private armies, to which Friedrich Flick contributed. Kurt von Schroeder and Montagu Norman’s protégé Hjalmar Schacht together made the final arrangements for Hitler to enter the government. Baron Rudolph von Schroeder was vice president and director of the Hamburg-Amerika Line. Certain actions taken directly by the Harriman-Bush shipping line in 1932 are ranked among the gravest acts of treason in this century. The U.S. embassy in Berlin reported back to Washington that the “costly election campaigns” and “ the cost of maintaining a private army of 300,000 to 400,000 men ” had raised questions as to the Nazis’ financial backers. The constitutional government of the German republic moved to defend national freedom by ordering the Nazi Party private armies disbanded. 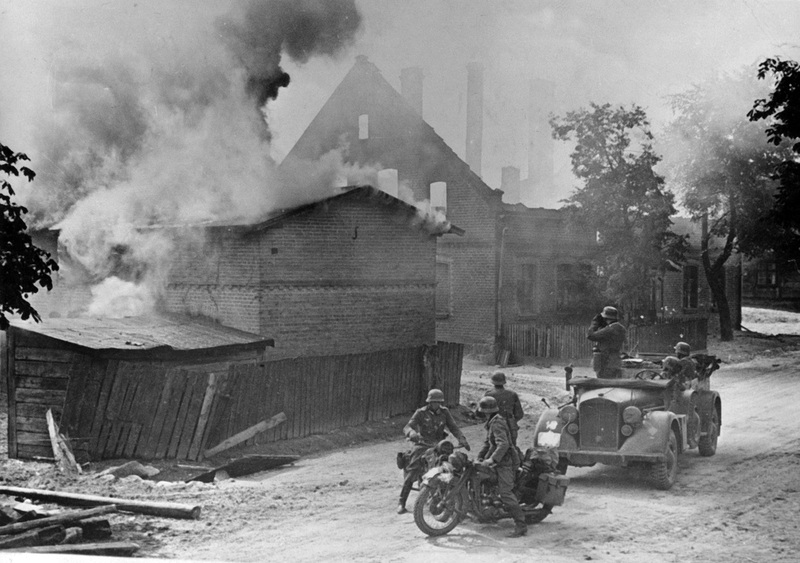 The U.S. embassy reported that the Hamburg-Amerika Line was purchasing and distributing propaganda attacks against the German government, for attempting this last-minute crackdown on Hitler’s forces. 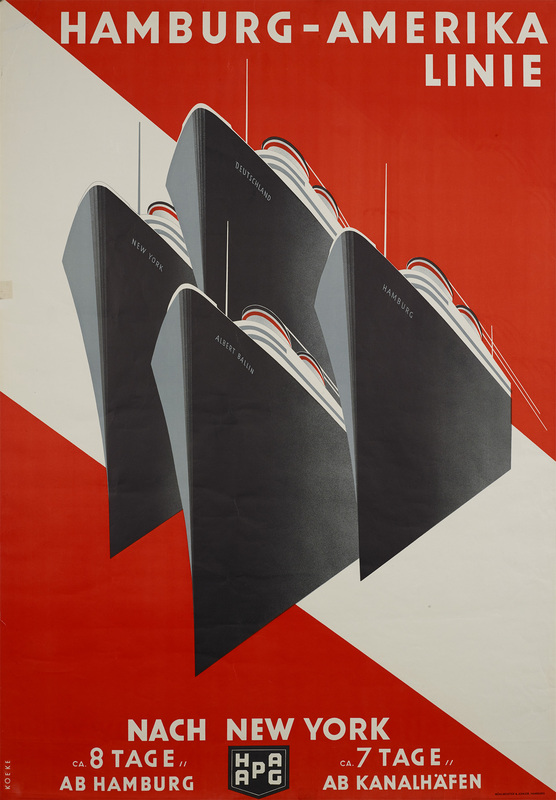 The executive board of the Hamburg Amerika Line (Hapag) met jointly with the North German Lloyd Company board in Hamburg on Sept. 5, 1933. Under official Nazi supervision, the two firms were merged. Prescott Bush’s American Ship and Commerce Corp. installed Christian J. Beck, a long-time Harriman executive, as manager of freight and operations in North America for the new joint Nazi shipping lines (Hapag-Lloyd) on Nov. 4, 1933. According to testimony of officials of the companies before Congress in 1934, a supervisor from the Nazi Labor Front rode with every ship of the Harriman-Bush line; employees of the New York offices were directly organized into the Nazi Labor Front organization; Hamburg-Amerika provided free passage to individuals going abroad for Nazi propaganda purposes; and the line subsidized pro-Nazi newspapers in the U.S.A., as it had done in Germany against the constitutional German government. Two months before moving against Prescott Bush’s Union Banking Corporation, the U. S. government ordered the seizure of all property of the Hamburg-Amerika Line and North German Lloyd, under the Trading with the Enemy Act. The investigators noted in the pre-seizure report that Christian J. Beck was still acting as an attorney representing the Nazi firm. In May 1933, just after the Hitler regime was consolidated, an agreement was reached in Berlin for the coordination of all Nazi commerce with the U.S.A. The Harriman International Co., led by Averell Harriman’s first cousin Oliver, was to head a syndicate of 150 firms and individuals, to conduct all exports from Hitler Germany to the United States. This pact had been negotiated in Berlin between Hitler’s economics minister, Hjalmar Schacht, and John Foster Dulles, international attorney for dozens of Nazi enterprises, with the counsel of Max Warburg and Kurt von Schroeder. 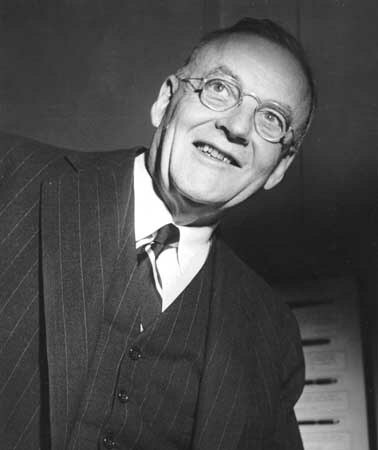 John Foster Dulles would later be U.S. Secretary of State, and the great power in the Republican Party of the 1950s. Foster’s friendship and that of his brother Allen (head of the Central Intelligence Agency), greatly aided Prescott Bush to become the Republican U.S. Senator from Connecticut. And it was to be of inestimable value to George Bush, in his ascent to the heights of “covert action government, ” that both of these Dulles brothers were the lawyers for the Bush family’s far-flung enterprise. Dulles enclosed a proposed draft reply, Bush got Harriman’s signature, and the changes went through.In conjunction with these arrangements, the German Atlantic Cable Company attempted to stop payment on its debts to smaller American bondholders. 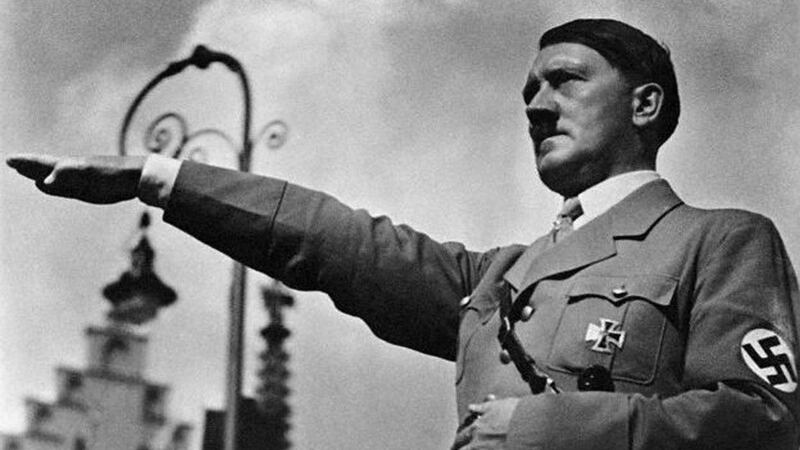 The money was to be used instead for arming the Nazi state, under a decree of the Hitler government. Despite the busy efforts of Bush and Dulles, a New York court decided that this particular Hitler “law ” was invalid in the United States; small bondholders, not parties to deals between the bankers and the Nazis, were entitled to get paid. On Oct. 28 1942, the government issued orders seizing two Nazi front organizations run by the Bush-Harriman bank: the Holland-American Trading Corporation and the Seamless Steel Equipment Corporation. U.S. forces landed under fire near Algiers on Nov. 8, 1942; heavy combat raged throughout November. Nazi interests in the Silesian-American Corporation, long managed by Prescott Bush and his father-in-law George Herbert Walker, were seized under the Trading with the Enemy Act on Nov. 17, 1942. In this action, the government announced that it was seizing only the Nazi interests, leaving the Nazis’ U.S. partners to carry on the business. 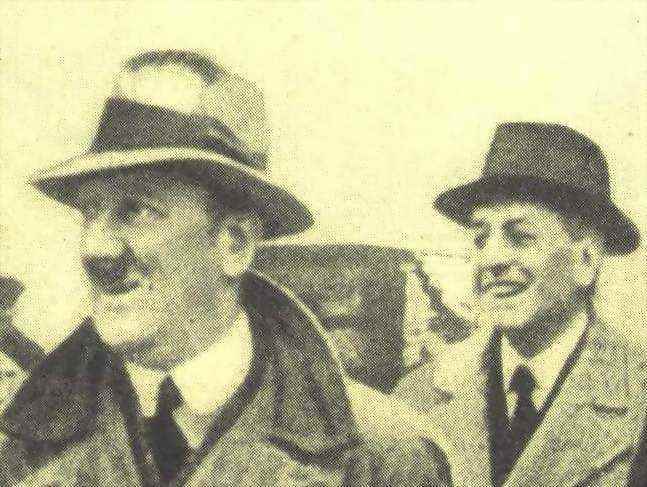 Fritz Thyssen and his business partners are universally recognized as the most important German financiers of Adolf Hitler’s takeover of Germany. 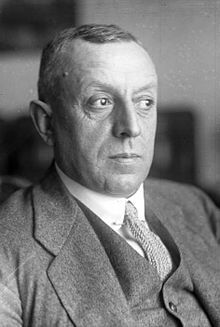 At the time of the order seizing the Thyssen family’s Union Banking Corp., Mr. Fritz Thyssen had already published his famous book, I Paid Hitler, admitting that he had financed Adolf Hitler and the Nazi movement since October 1923. Thyssen’s role as the leading early backer of Hitler’s grab for power in Germany had been noted by U.S. diplomats in Berlin in 1932. The order seizing the Bush-Thyssen bank was curiously quiet and modest about the identity of the perpetrators who had been nailed. Prescott Bush became vice president of W.A. 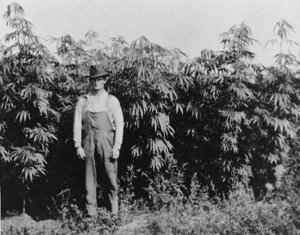 Harriman & Co. in 1926. That same year, a friend of Harriman and Bush set up a giant new organization for their client Fritz Thyssen, prime sponsor of politician Adolf Hitler. The new German Steel Trust, Germany’s largest industrial corporation, was organized in 1926 by Wall Street banker Clarence Dillon. Dillon was the old comrade of Prescott Bush’s father Sam Bush from the “ Merchants of Death ” bureau in World War I. In return for putting up $70 million to create his organization, majority owner Thyssen gave the Dillon Read company two or more representatives on the board of the new Steel Trust. Robert A. Lovett also came over as a partner from Brown Brothers. His father, E.H. Harriman’s lawyer and railroad chief, had been on the War Industries Board with Prescott’s father. Though he remained a partner in Brown Brothers Harriman, the junior Lovett soon replaced his father as chief executive of Union Pacific Railroad. Brown Brothers had a racial tradition that fitted it well for Hitler. Brown Brothers, with offices in the U.S.A. and in England, had carried on their ships fully 75 percent of the slave cotton from the American South over to British mill owners. Now in 1931, the virtual dictator of world finance, Bank of England Governor Montagu Collet Norman, was a former Brown Brothers partner, whose grandfather had been boss of Brown Brothers during the U.S. Civil War. Montagu Norman was known as the most avid of Hitler’s supporters within British ruling circles, and Norman’s intimacy with this firm was essential to his management of the Nazi project. A 1935 Harriman Fifteen Corporation memo from George Walker announced an agreement had been made “in Berlin ” to sell an 8,000 block of their shares in Consolidated Silesian Steel. Nazi tanks and bombs “settled” business with the invasion of Poland, beginning World War II. The Nazi army had been equipped by Flick, Harriman, Walker and Bush, with materials essentially stolen from Poland by Flick. There were probably few people at the time who could appreciate the irony, that when the Soviets also attacked and invaded Poland from the East, their vehicles were fueled by oil pumped from Baku wells revived by the Harriman/Walker/Bush enterprise. 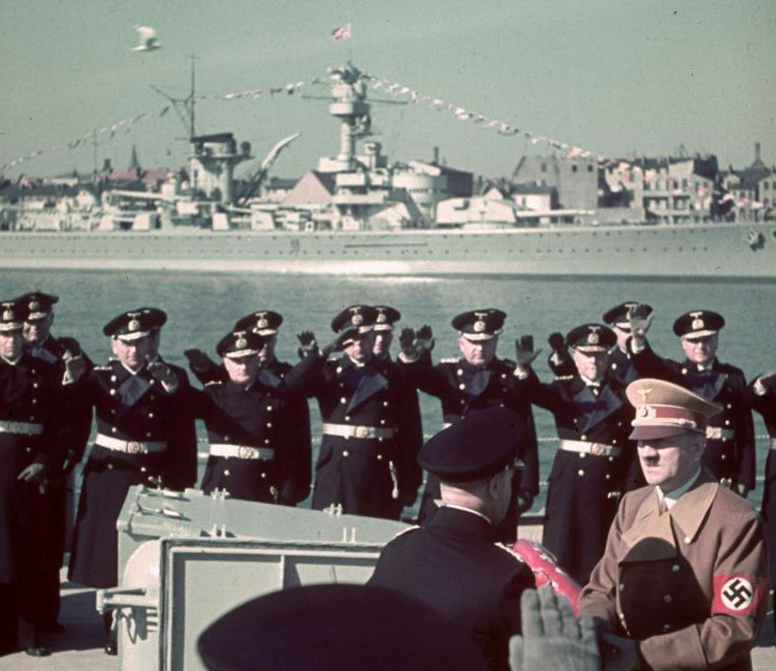 Three years later, nearly a year after the Japanese attack on Pearl Harbor, the U.S. government ordered the seizure of the Nazis’ share in the Silesian-American Corporation under the Trading with the Enemy Act. Enemy nationals were said to own 49 percent of the common stock and 41.67 percent of the preferred stock of the company. 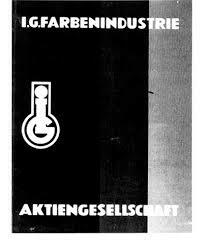 The order characterized the company as a “business enterprise within the United States, owned by [a front company in] Zurich, Switzerland, and held for the benefit of Bergwerksgesellschaft George von Giesche’s Erben, a German corporation…. 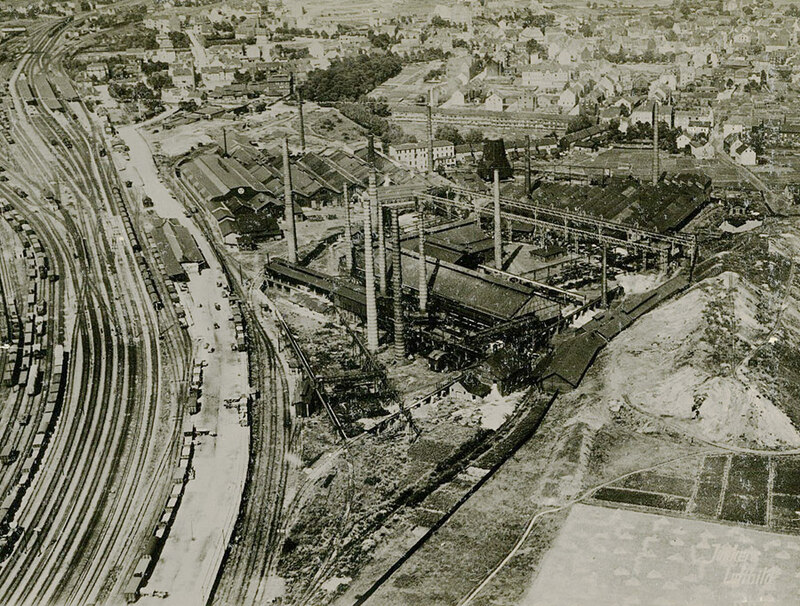 Bert Walker was still the senior director of the company, which he had founded back in 1926 simultaneously with the creation of the German Steel Trust. Ray Morris, Prescott’s partner from Union Banking Corp. and Brown Brothers Harriman, was also a director. The investigative report prior to the government crackdown explained the “ NATURE OF BUSINESS: The subject corporation is an American holding company for German and Polish subsidiaries, which own large and valuable coal and zinc mines in Silesia, Poland and Germany. Since September 1939, these properties have been in the possession of and have been operated by the German government and have undoubtedly been of considerable assistance to that country in its war effort. ” The report noted that the American stockholders hoped to regain control of the European properties after the war.